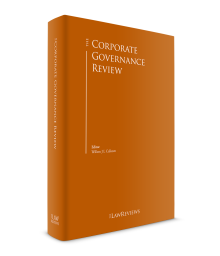 The corporate governance regime applicable to Brazilian listed companies is basically established by the Brazilian Corporation Law (Federal Law No. 6,404, of 15 December 1976, as amended), the rulings issued by the Brazilian Securities Commission (CVM), and the listing rules issued by the São Paulo Stock Exchange (B3)2 to each of its listing segments. Among the Law and rules mentioned above, it is important to highlight that CVM enacted in June 2017 a new ruling (i.e., Ruling No. 586) establishing the obligation for the listed companies to disclose, on an annual basis,3 the ‘Brazilian Corporate Governance Code: Listed Companies Information’, whereby the companies shall indicate, in relation to each recommendation of the Brazilian Corporate Governance Code, whether the company was compliant, and if not, would provide an explanation for the non-compliance (i.e., ‘comply or explain’ approach). The Brazilian Corporate Governance Code for listed companies was elaborated by GT Interagentes (the Interagents Working Group, which comprises 11 of the most important agencies concerned with the Brazilian capital markets) and issued on 16 November 2016. Of the B3 listing segments, the Novo Mercado has the highest standards of corporate governance rules, followed by Level 2 and Level 1. There is also the BOVESPA MAIS, an organised over-the-counter market managed by B3 and created as a way for small and medium-sized companies to access the capital markets. It falls under the authority of CVM, a federal independent agency reporting to the Ministry of Finance that supervises and enforces listed companies’ compliance with the Brazilian Corporation Law and the rules issued by CVM. This enforcement can result in the imposition of fines and restrictions on companies and their administrators. B3 is responsible for supervising compliance with its listing rules and has the authority to impose on companies and their administrators contractual fines and other sanctions, such as suspension and exclusion from trading in shares in the B3 environment. Most Brazilian listed companies do not have widely held stock, but in recent years there has been a trend for CVM to stimulate the participation of minority shareholders in the governance of companies, through the creation of a mechanism that enables all the shareholders to send their votes electronically prior to any shareholders’ meeting. In 2017, implementation of this mechanism was only mandatory for the main companies listed on B3; however, as from 2018 it will become mandatory for all companies. CVM has also enacted rules in recent years to improve the quality and amount of information that a listed company must disclose to its investors, including Ruling No. 480, published at the end of 2009, which created the ‘reference form’, a document containing very detailed information about the company that must be updated at least once a year; and Ruling No. 481 (published simultaneously with Ruling No. 480), which sets forth the mandatory information that must be disclosed by listed companies on an ordinary basis and prior to each shareholders’ meeting. Both these rules have already been adjusted to incorporate improvements that CVM considered necessary. Furthermore, B3 launched the State-Owned Enterprise Governance Programme in September 2015 in response to the recent scandals and political use of state-owned companies by the government. The Programme aims to restore investor confidence in state-owned companies (which are significant elements of the Brazilian capital markets) by enhancing the corporate governance rules of these companies in the following ways: (1) through more clear disclosure of the company’s objectives; (2) through the creation of mechanisms to remove administrators who divert company activities from the stated objective; (3) through the establishment of detailed nomination criteria encompassing the qualifications and expertise of the administrators; and (4) through the commitment of the public controlling shareholder to comply with corporate governance best practice. 2017 was a very productive year in terms of corporate governance rules with the enactment of Ruling No. 586 and the creation of the Brazilian Corporate Governance Code: Listed Companies Information and the changes approved in the Novo Mercado Listing Rules. As a consequence, 2018 will be a unique year for corporate governance in Brazil, since in this year we will have: (1) the publication of the first Brazilian Corporate Governance Code: Listed Companies Information, which will be required from the companies whose shares are part of the IBOVESPA index or the IBrX-100 index; (2) the application of some of the changes in the Novo Mercado Listing Rules that became effective as from 2 January 2018 (other changes will become effective in 2021), such as the disclosure of material facts and earnings releases in Portuguese and English, disclosure of the resignation or removal of board members and officers through material fact or announcement to the market within the business day following the resignation or removal and the mandatory statement of the board of directors regarding the tender offers; and (3) implementation of the proxy voting system for all the listed companies on B3. Brazilian listed companies are managed by a board of directors4 and by an executive office. Brazilian companies can also install a fiscal board, which does not have the nature of a managerial body but rather of a supervisory body. The board of directors is a decision-making body with authority to establish the company’s business policy in general; to elect and dismiss officers; to set the duties and monitor the day-to-day managerial actions of the officers; to express an opinion on any matters to be submitted to the shareholders; and to approve the implementation by the executive office of specific matters prescribed by law or under the company by-laws. The authority of the board of directors established by the Brazilian Corporation Law cannot be delegated to other bodies. The Brazilian Corporation Law sets for that the board of directors shall be composed of at least three members, who are not required to be Brazilian residents. In the case of the companies currently listed on the Novo Mercado, considering the changes approved in its Listing Rules in 2017, they must observe the following rules: (1) until the ordinary shareholders’ meeting that shall approve the financial statements related to the fiscal year of 2020 - the board must be composed of at least five members and at least 20 per cent of the members must be considered to be ‘independent’; and (2) as from the ordinary shareholders’ meeting that shall approve the financial statements related to the fiscal year of 2020 – the board must be composed of at least three members and at least two or 20 per cent of the members, whichever is greater, must be considered to be ‘independent’. For the companies that will become listed on the Novo Mercado as from 2 January 2018, it shall apply the rule provided in item (2) above, as from its listing. In the case of the companies currently listed in the Level 2 segment, the board must be composed of at least five members and at least 20 per cent of the members must be considered to be ‘independent’. The requirements for the appointment to occupy a position on the board of directors are established in the Brazilian Corporation Law. Generally speaking, the director must be someone with an unblemished reputation who has not been convicted in an administrative or judicial procedure in relation to corporate crimes or irregularities. The board of directors can create specific committees (e.g., compensation, related-party transactions, and audit) to assist it in the management of the company. For the companies currently listed in the Novo Mercado segment, it will be mandatory to install an audit committee, statutory or not, as from the ordinary shareholders’ meeting that shall approve the financial statements related to the fiscal year of 2020. Listed companies must rotate their independent auditor every five years and must wait at least three years before rehiring the same auditor. However, if the listed company has installed a statutory audit committee, rotation can occur every 10 years instead of five. In the event of a tender offer for the acquisition of the control of a listed company (Takeover TO), in principle, the board of directors of the listed companies is not under an obligation to make a statement as to whether or not it agrees with the terms and conditions of the Takeover TO. 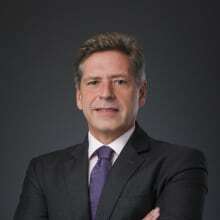 If, however, the board of directors decides to make a statement on the Takeover TO, the statement must be disclosed to the market and must address such issues as: provision of information on all aspects necessary to allow an informed decision by the investor, especially with regard to the price being offered; and any material changes in the company’s financial condition since the date of the most recent financial statements or quarterly reports disclosed to the market. any other point of consideration the board may deem relevant. The executive board shall be composed of at least two officers. The officers of Brazilian listed companies can be elected and removed at any time by the board of directors. Up to one-third of the board members may be elected for executive board positions held concurrently. Pursuant to the rules of the Novo Mercado, Level 2 and Level 1 listing segments, the offices of chairman of the board of directors and CEO cannot be held by the same individual. However, the holding of these positions concurrently is allowed, on an exceptional basis: (1) in the case of the companies listed in Level 2 and Level 1 listing segments a maximum period of three years from the date that the company’s shares start to be traded on the special listing segment; and (2) in the case of the companies listed in the Novo Mercado listing segment, in the case of vacancy for a maximum period of one year, within such period the company shall disclose the accumulation of positions owing to vacancy not later than the business day following its occurrence and disclose within 60 days of the vacancy the measures taken to end the accumulation of positions. Among other duties, the executive board represents the company in dealings with third parties. The by-laws may establish that certain managerial decisions should be taken in executive board meetings only. The by-laws will establish the number of officers permitted, the manner of their replacement, their term of office, and the assignments and powers of each officer. Officers will perform their duties separately, according to their assignments and powers, but in keeping with the other officers, and will not be held liable for any obligations assumed on behalf of the company as regards routine acts necessary for the company’s management. If the by-laws are silent or there is no resolution adopted by the board of directors prescribing the officers’ duties, any officer may represent the company and take the actions necessary for its routine operations. The shareholders’ meeting shall prescribe the aggregate or individual compensation of the members of the board of directors and executive board, including benefits of any kind and representation allowances, taking into consideration their responsibilities, the time devoted to their duties, their skills and professional standing, and the market value of their services. If the shareholders’ meeting approves the aggregate compensation to be paid to the company’s directors and officers, it will fall under the authority of the board of directors to approve the allocation of the compensation between the company’s directors and officers. If the company’s by-laws set forth a compulsory dividend equal to or above 25 per cent of the net profits, it may establish a share in the company’s profits to the benefit of the company’s directors and officers, provided that the total amount thereof does not exceed the annual compensation of the directors and officers, nor one-tenth of the profits, whichever is the lower. Nevertheless, directors and officers shall only be entitled to a share in the profits in a financial year for which the compulsory dividend is paid to the shareholders. Detailed information on the compensation paid to the company’s directors and officers, including, but not limited to, the breakdown of the compensation (e.g., fixed and variable compensation), the minimum, lowest and average compensation paid, must be disclosed in the company’s reference form. In addition, the companies listed in the Novo Mercado segment must have and disclose their compensation policies. The fiscal board is a supervisory body responsible for supervising the company’s directors and officers and providing information in this respect to the shareholders. The fiscal board is a compulsory body, but need not operate on a standing basis. A non-permanent fiscal board must be instated upon the request of shareholders representing at least 10 per cent of the voting stock or 5 per cent of the non-voting stock. The fiscal board is composed of three to five members and a like number of alternates. The conditions for election and impairment of fiscal board members (who must be Brazilian residents) are prescribed by law. examine the financial statements for the fiscal year and give an opinion about them. The fiscal board’s authorities can be neither delegated nor attributed to any other body of the company. As mentioned above, the board of directors is a decision-making body of the company, but the daily routine of administration of the company shall fall to the executive board. All the members of the board of directors, including the outside or independent members, must receive in advance of the meetings of the board of directors information about the matters that will be discussed and put to the vote. Brazilian legislation does not expressly state that the directors have the right to visit the company’s facilities and its subsidiaries, or that the directors should have free access to the lower management of the company. However, considering that among the duties provided for the board of directors in the Brazilian Corporation Law it is established that the board of directors shall ‘supervise the performance of the officers, examine the books and records of the company at any time, request information on contracts signed or about to be signed, and take all other necessary action’, it is expected that the directors shall have free access to the company, its subsidiaries and its lower management. As regards the liability of the directors, the directors shall not be held personally liable for the obligations assumed on behalf of the company as a result of a regular act of management. However, the directors shall be held liable in civil lawsuits for the losses that they cause owing to acts of negligence or fraudulent intent and in violation of the law or the company’s by-laws. Note that the directors shall not be liable for unlawful acts performed by other directors, unless they are involved with these directors, or they neglect to perceive them or if, having knowledge of them, fail to act to prevent their performance. However, directors are held jointly liable in the case of decisions taken by the board of directors. In this particular, we note that each of its members is personally liable for any act of omission or negligence of the board of directors, and a dissident director shall express his or her disagreement regarding the resolutions taken through the clear and written register in the minutes of the meeting of the competent administration body, to release him or herself from any eventual civil liability. The director who agrees with the performance of acts that violate the law or the company’s by-laws shall be held jointly liable for the losses resulting from said act. The members of the board of directors are elected by the shareholders, who can dismiss them at any time. The shareholders representing at least one-tenth of the voting capital may request that a multiple voting procedure be adopted to entitle each share to as many votes as there are board members and to give each shareholder the right to vote cumulatively for only one candidate or to distribute his or her votes among several candidates. The term of office of the directors must be defined in the by-laws, but it cannot exceed three years, although re-election is permitted. In the case of companies listed in the Novo Mercado, Level 2, Level 1 and BOVESPA MAIS listing segments, the term of office cannot exceed two years, although again re-election is permitted. The requirements for the appointment to occupy a position on the board of directors are established in the Brazilian Corporation Law. Generally speaking, the director must be someone with unblemished reputation, who has not been convicted in an administrative or judicial procedure in relation to corporate crimes or irregularities. Furthermore, unless waived in a shareholders’ meeting, individuals who hold positions in companies that may be regarded as market competitors of the company, or who have any interests that conflict with those of the company, cannot be elected as board member. As regards conflicts of interest, a director shall not take part in any corporate transaction in which he or she has an interest that conflicts with an interest of the company, nor take part in the decisions made by the other directors on the matter. He or she shall disclose his or her disqualification to the other directors and shall cause the nature and extent of his or her interest to be recorded in the minutes of the meeting of the board of directors. Notwithstanding compliance with the conflict of interest provision, the director may only contract with the company at arm’s length. Any business contracted other than on an arm’s-length basis is voidable, and the director concerned shall be compelled to transfer to the company all benefits that he or she obtains through such business. The Brazilian Corporation Law has adopted the principle of full disclosure when it comes to acts or facts related to the company that may be considered relevant. The disclosure of material events is a duty of the company’s investor relations officer, who may be held personally liable for damages arising as a result of non-disclosure. CVM Ruling No. 358/2002, which sets forth the general disclosure rules for listed companies, defines ‘material event’ broadly, as any decision arising from a controlling shareholder, a general shareholders’ meeting or a management body of a publicly held corporation, or any other act or event of a policy, management, technical, business, economic or financial nature in connection with its business that could considerably influence the trading price of the securities issued by or related to the company; the decision by investors to buy, sell or keep those securities; and the decision by investors to exercise any rights they have as holders of securities issued by or related to the company. The companies listed in the Novo Mercado segment are required to disclose their material facts in Portuguese and English, concurrently. At the end of 2009, CVM enacted CVM Rulings Nos. 480/2009 and 481/2009, modifying, respectively, the rules regarding the disclosure of information by publicly held companies and the presentation of documents and information before meetings are held. The main change in disclosure issues was the introduction of the reference form, which basically compiles corporate, contractual, financial or economic, governance, and human resources information about the company. The reference form must be updated at least once a year, or in a shorter period upon the occurrence of certain events that demand an update of the information provided in the reference form. Listed companies must also disclose the standard form of financial statements (DFP), within the first three months of the end of each fiscal year. The DFP is an electronic form created in CVM’s electronic system that must be completed using information obtained from the annual financial statement. Listed companies shall also disclose, on a quarterly basis, the quarterly information form, which is also an electronic form, and which must be completed using the company’s quarterly financial information; it must contain the report of the special review issued by the independent auditor. In addition to disclosing their financial statements in Portuguese, companies listed in the Level 2 listing segment must also disclose them in English. Regarding one-on-one meetings, companies listed in the Novo Mercado must hold a public presentation on the information disclosed in their quarterly earnings results or financial statements within five business days of their release. Such public presentation may be conducted face-to-face or via teleconference, videoconference or any other means that enables stakeholders to participate remotely. On the other hand, the companies listed in the Level 2 and Level 1 listing segments are required to hold, at least once a year, a public meeting with analysts and other third parties, to disclose information about their financial and economic situation, projects and expectations. Pursuant to the Brazilian Corporation Law, all publicly held companies must prepare on an annual basis, within their financial statement, a value-added statement, which could be considered as the balance statement of the company’s ‘social account’. This statement provides information on the overall wealth produced by the company, on the allocation of resources to those areas of the company that contributed to the generation of that wealth (such as employees, financiers, shareholders, the government and others) and on the unallocated portion of that wealth. In addition, some companies seek certification from institutes such as the Ethos Institute, the Brazilian Institute of Social and Economic Analysis and the Global Reporting Initiative, but such certification is not mandatory for listed companies. Another aspect of this ‘social accounting’ is evidenced in the code published by the Brazilian Financial and Capital Markets Association (ANBIMA) regarding public offerings, which sets forth that companies must include in their reference form information on social responsibility and cultural incentives, and on any projects in those areas implemented by the company. Thus, although the ANBIMA code does not require their existence, if the company has any social responsibility policies in place, these should be disclosed in the reference form. Furthermore, a new anti-corruption law has been in place since 29 January 2014, and this introduced administrative and civil liability of legal entities for illicit acts committed in relation to local and foreign public officials. However, there is as yet no whistle-blowing legislation in force in Brazil. Each common share shall have the right to one vote in shareholders’ meetings, and it is not possible to have shares with multiple voting rights. Brazilian companies can, however, issue preferred shares, which can be issued without voting rights (although companies listed in the Novo Mercado are required to issue only common shares). In addition, the Brazilian Corporation Law sets forth that it is possible to include in the company’s by-laws a provision restricting the number of votes by each shareholder. Nevertheless, the companies listed in the Novo Mercado and Level 2 listing segments are not permitted to include in their by-laws any provision restricting the number of votes of shareholders to a percentage below 5 per cent of the stock capital, except in a few cases provided in the listing rules. In theory, shareholders should not have the ability to influence the directors’ decision-making. In this regard, a specific article of the Brazilian Corporation Law sets forth that a director shall use his or her powers to achieve the company objectives and to support its best interests, even if these interests are contrary to those of the shareholder, or group of shareholders, who have elected or indicated him or her. Nevertheless, the Brazilian Corporation Law also contain a provision stating that the votes of directors can be bound by a shareholders’ agreement. Therefore, the Brazilian Corporation Law recognises that the directors can receive instructions from the shareholders on how to vote in board meetings. authorise the senior managers to admit bankruptcy of the company and to file for debt rehabilitation. a shareholder who has not voted in favour of the acquisition by the listed company of which he or she is a shareholder of the control of a business corporation is entitled to withdraw if the purchase price exceeds 1.5 times the greatest of: the average quotation of the shares on the stock exchange during the 90 days prior to the contracting date; the net value of each share or quota, the assets and liabilities having been valued at market prices (liquidation value); and the net profit of each share or quota, which may not exceed 15 times the annual net profit per share during the past two fiscal years, monetarily adjusted. The controlling shareholder has the duty to use its controlling power to make the company accomplish its purpose and perform its social role, and shall have duties and responsibilities towards the other shareholders of the company, those who work for the company and the community in which it operates, the rights and interests of which the controlling shareholder must loyally respect and heed. to arrange for liquidation of a viable company or for the transformation, merger or division of a company to obtain, for itself or for a third party, any undue advantage to the detriment of the other shareholders, of those working for the company or of investors in the company. There are no specific duties provided in Brazilian legislation for institutional investors, and there is no code of best practice for shareholders. Brazilian Corporation Law and CVM Ruling No. 361 requires as a condition for effectiveness of the direct or indirect disposal of a controlling interest in a listed company that the acquirer make a mandatory public tender offer (tag-along TO) for the acquisition of all the voting shares that are not part of the controlling block. The tag-along TO must ensure minority shareholders the receipt of at least 80 per cent of the value paid per voting share included in the controlling block. For companies listed on the Novo Mercado listing segment, the amount to be paid in the tag-along TO shall correspond to 100 per cent of the value paid per voting share included in the controlling block. Another defence to be considered is the use of ‘poison pills’, which Brazilian legislation does not prevent companies from putting in place, and they are used in some listed companies. The typical Brazilian poison pill requires the acquirer of an equity interest above a given threshold to make a tender offer to all shareholders for a punitive price. The use of poison pills must, however, be established in the by-laws of the company. As a consequence, only the shareholders’ meeting, which has exclusive authority to amend the by-laws, is empowered to put poison pills in place. CVM has already pronounced against provisions that penalise or prevent shareholders from voting against the exclusion of poison pills on a case-by-case basis in a definitive manner. Furthermore, the rules of the Novo Mercado listing do not allow companies that want to trade their shares on the Novo Mercado to have poison pills in their by-laws. The company must disclose to all of its shareholders, through its website, as well as on the CVM and B3 websites, certain ordinary and extraordinary reports or information, such as the reference form, financial statements, minutes of the shareholders’ meetings and documents necessary for review by shareholders to be able to exercise their voting right in shareholders’ meetings. It is a common practice in listed companies to hold a conference call with investors right after the release of the annual or quarterly financial statement to discuss the company’s results. It is also usual for the companies to hold meetings or calls with analysts to discuss the company, to enable the analysts to issue their reports on the company. In the case of the companies listed in the Novo Mercado segment, as already mentioned above, they must hold a public presentation on the information disclosed in their quarterly earnings results or financial statements within five business days of their release. Whenever the company holds a meeting with a specific shareholder to discuss a material fact that has not been disclosed, it is usual to have this shareholder sign a non-disclosure agreement and the shareholder would be subject to a blackout period, during which it would be unable to trade in the company’s shares, until the material information is disclosed to the market. Publicly held companies are required to disclose on the same day as the first publication of the call notice the manual of the shareholders’ meeting, which contains detailed information about the matters to be discussed and the management proposal for each of the matters that will be voted on. The supporting documentation for the ordinary shareholders’ meeting (e.g., financial statements, management report, independent auditors report and opinion of the fiscal board) must be disclosed to the shareholders 30 days in advance of the date of the meeting. In 2015, CVM enacted a ruling on attendance and distance voting at shareholders’ meetings of publicly held companies, whereby shareholders would be able to present proposals of deliberations to be voted on, and to vote on the deliberations of the shareholders’ meeting, subject to certain requirements. Implementation of this proxy voting system was mandatory for the major companies listed on B3 as from 2017 and will be mandatory for all listed companies as from 2018. We expect that the biggest trends in the next few years in Brazil will be the escalation of proxy voting and the battle over the implementation by listed companies of the practices provided in the Brazilian Corporate Governance Code. Besides, considering the increase on the number of IPOs and follow-ons in the pipeline we expect that it will be important for companies to pursue the highest level in terms of corporate governance rules in order to be evaluated well by the investors and, consequently, be successful in their offerings. 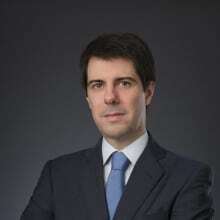 1 Marcelo Viveiros de Moura is a partner and Marcos Saldanha Proença is a counsel at Pinheiro Neto Advogados. 2 B3 SA – Brasil, Bolsa, Balcão is the current corporate denomination of the São Paulo Stock Exchange, which was formerly denominated BM&FBOVESPA SA – Bolsa de Valores, Mercadorias e Futuros until 10 May 2017. 3 The Brazilian Corporate Governance Code: Listed Companies Information must be disclosed within seven months of the end of each fiscal year. 4 Closely held companies are not required to have a board of directors. 5 The ordinary shareholders’ meeting must be held within the first four months of the end of each fiscal year. 6 For some specific matters the call notice must be published 30 days in advance.